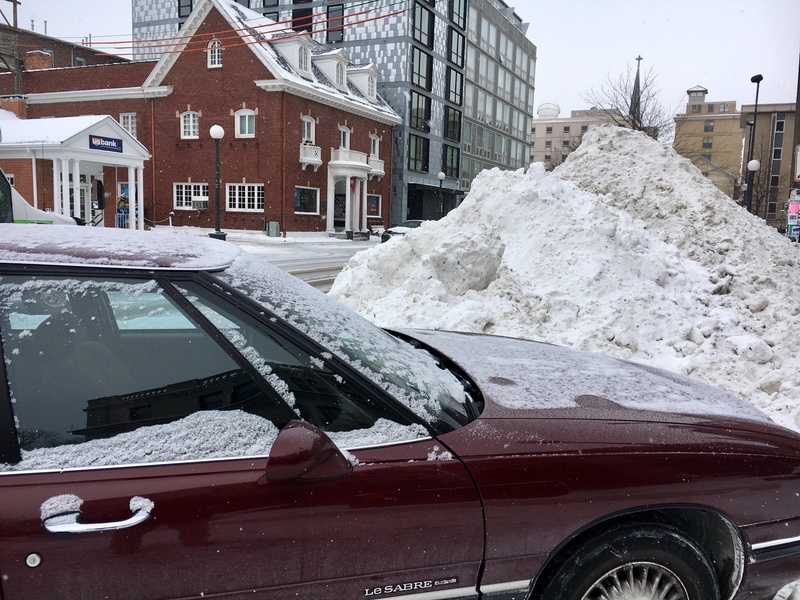 Crews will remove the snow piles in Downtown Iowa City overnight Friday, Feb. 1, 2019. Vehicles parked next to the snow piles will be removed in order to clear the area. Streets Division staff will begin removing the snow piles at 2 a.m.
Vehicles parked near the snow piles may be towed if they prevent crews from completing their work. The piles are located next to metered spots, which do not permit parking from 2 a.m. to 6 a.m. Follow all posted parking signs to prevent your vehicle from being towed. Vehicles can be moved to a Downtown Parking ramp, or to on-street parking spaces outside of the area. If your vehicle is towed, contact the Iowa City Police Department at 319-356-5275. Do not call 911.